Do I have any Harry Potter fans in the house?! My two kids are obsessed with Harry Potter. They really are terrific books. I have actually read all of them myself. I think they are o great to help kids imagine and learn to be creative. We have also seen all of the movies together as well. Well, to be honest, I have watched the movies a million times with the kids! We actually took a trip to the Harry Potter world at Universal Studios. Well, wasn’t that something else! I mean that in the best possible way too. I was really impressed with how awesome this entire place was! Whoever created this really went above an beyond. I think I was just as excited as the kids were. I mean it truly was such a wonderful place to be! We ate butterbeer cake while we were there too. After our trip I thought it would be fun to make the butterbeer cake and surprise the kids. I had it waiting for them after school one day. They came into the house and I told them to come into the kitchen. They saw the cake and instantly knew what it was! It was the best tasting cake that I had ever made! Such a fun idea too! Recipe and photo credit courtesy of Mrs. Mulford’s Cakes. 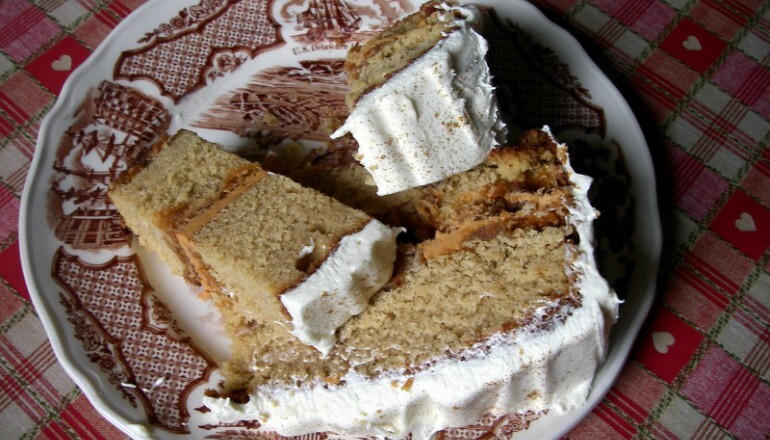 Quick Tip: Sprinkle some of the butterscotch chips on top of the cake!